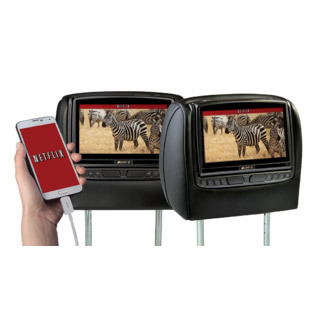 Our Headrest systems offer optional certified HDMI/MHL inputs that give the user direct connection to any HDMI/MHL enabled device: smart phones, tablets, even Smart-TV devices. This provides delivery of high- definition audio and video content without losing the use of the DVD. That's smart, and it makes the entertainment possibilities literally endless.